Great for Kids, a rolling dry erase board with storage! This dry erase board comes with four (4) plastic storage tubs. It also has a center shelf for storage, and a full length accessory tray. 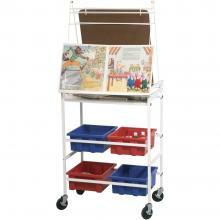 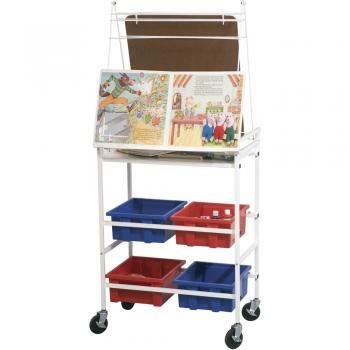 The frame is made of powder coated steel and sits on 3" locking casters for increased mobility. 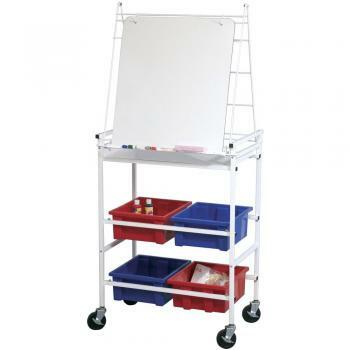 Keep your kids organized with this dry erase board and cart!